The LP Aspire Bongo mount is an easy, quick, and secure way of mounting bongos, then adjusting them to the optimal playing position. It is the perfect unit for adding bongos to LP Aspire or Matador double conga stands without resorting to purchasing a whole new stand. 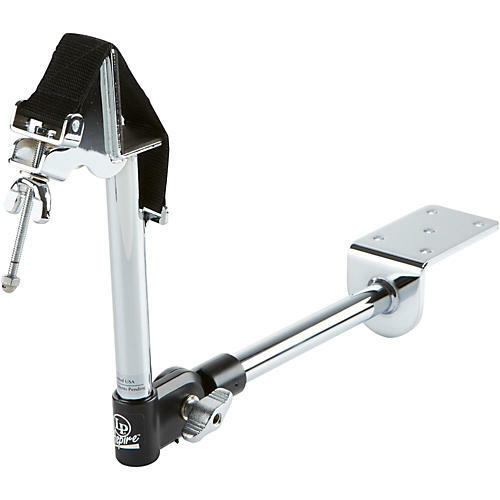 The mounting system combines with LP's patented strap-lock device to ensure rapid set up/take down. For precise positioning of bongo skins, the neck pivots to taste.